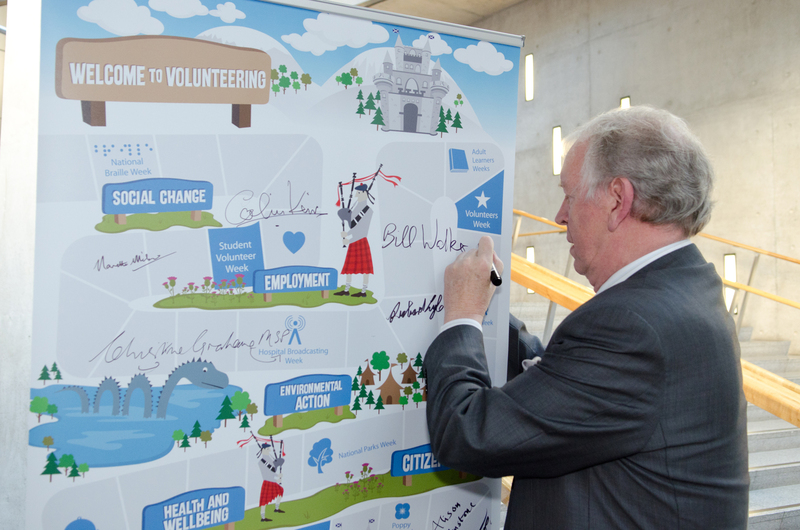 Dunfermline MSP Bill Walker, one of the first to sign the campaign banner, said: “Volunteering is a great way to improve your community, since no one knows more about the needs of a community than the people who belong to it. “I often publicise the commendable voluntary projects taking place in my Dunfermline constituency through news releases, publicity on my website, and so on. The last Scottish Household Survey showed that 30% of adults volunteer. This campaign hopes to add to that figure by encouraging everyone to kick off the New Year with a resolution to volunteer in their local community and make a difference. If you are interested and have any time to donate, you can find out more by visiting the portal for all volunteering in Scotland, http://www.volunteerscotland.org.uk, or by contacting your local Volunteer Centre.